Google optimization is based on the premise that the more people that like to your website, the more valuable it must be and the higher ranking it deserves in search results. But what constitutes popularity online? 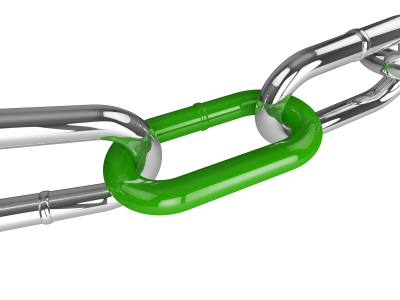 From a search engine’s perspective, backlinks from another site pointing to yours is a meaningful vote of confidence. One powerful strategy is to build backlinks other people use to point attention toward your website via blogs, articles, social media sites, and so on. For example, I am currently using blog exchanges as a strategy to get credible websites pointing to my business. I am working with a SEO specialist in town, our strategy, we both write a a blog for each other with a backlink on each to our respective sites – this is a great for SEO for both of us! This is the latest guest post that I wrote for his client: WALK THE GREEN TALK WHILE MOVING? Another great way to start building back links is by tweeting, liking, and +1’s – these are now becoming important ranking factors alongside links; however, having websites link back to you is very much still a basic requirement for getting search engine fueled website traffic. Create a site with valuable content, products or services. Place primary and secondary keywords within the first 25 words in your page content and spread them evenly throughout the document. Research and use the right keywords/phrases to attract your target customers. Use your keywords in the right fields and references within your web page. Like Title, META tags, Headers, etc. Keep your site design simple so that your customers can navigate easily between web pages, find what they want and buy products and services. Submit your web pages i.e. every web page and not just the home page, to the most popular search engines and directory services. Hire someone to do so, if required. Be sure this is a manual submission. Do not engage an automated submission service. Keep track of changes in search engine algorithms and processes and accordingly modify your web pages so your search engine ranking remains high. Use online tools and utilities to keep track of how your website is doing. Monitor your competitors and the top ranked websites to see what they are doing right in the way of design, navigation, content, keywords, etc. Use reports and logs from your web hosting company to see where your traffic is coming from. Analyze your visitor location and their incoming sources whether search engines or links from other sites and the keywords they used to find you. Make your customer visit easy and give them plenty of ways to remember you in the form of newsletters, free reports, reduction coupons etc. Demonstrate your industry and product or service expertise by writing and submitting articles for your website or for article banks so you are perceived as an expert in your field. When selling products online, use simple payment and shipment methods to make your customer’s experience fast and easy. When not sure, hire professionals. Though it may seem costly, but it is a lot less expensive than spending your money on a website which no one visits. Don’t look at your website as a static brochure. Treat it as a dynamic, ever-changing sales tool and location, just like your real store to which your customers with the same seriousness. Links aren’t everything in SEO, but search professionals attribute a large portion of the engines’ algorithms to link-based factors (see Search Engine Rank Factors). Through links, engines can not only analyze the popularity of a website & page based on the number and popularity of pages linking to them, but also metrics like trust, spam, and authority. Previous PostThe Ultimate Green Twitter Hashtag List Next PostWALK THE GREEN TALK WHILE MOVING? "Crafting eStrategies to Increase Your ROE" Sign up for the latest news from Digitality - IT'S FREE! Become a member to get the tools and Knowledge you need to market smarter.